For the first time ever, Los Chimuelos will host a split auction, both postgame and online, giving fans the chance to go home with the alternate identity jerseys. Fans attending the game on March 29 will have the chance to bid on 15 game-worn jerseys following the final buzzer. An online auction will follow – starting Saturday, March 30 at midnight and running through Friday, April 5 at 7 p.m. – and will feature the remainder of the jersey collection as well as two custom-designed goalie masks. All proceeds from the auction will benefit local nonprofit organizations. Once preregistered, you’ll receive a notification to begin bidding. Fans attending the game on March 29 will be able to add a Chimuelos-branded travel cooler to any ticket for just $5, while supplies last. 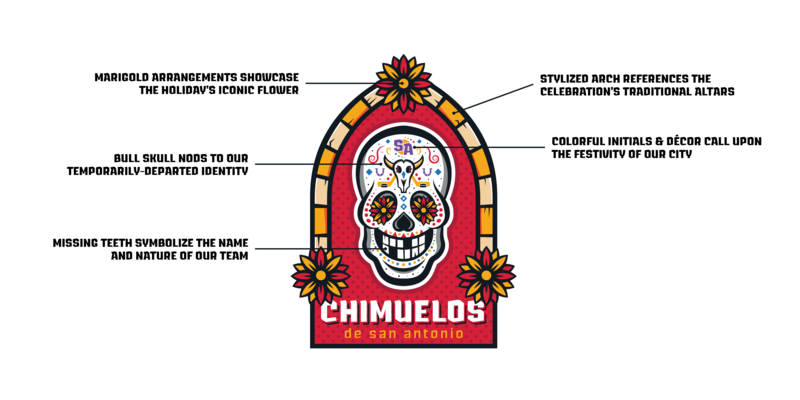 Fans can also add the full Chimuelos Collectable Series to their ticket for just $20. Friday will also be a Bud Light Dollar Drink Night, and fans can look forward to enjoying $1 domestic beers and sodas throughout the game. Collectibles available while supplies last! Purchase 4-game mini plan & save! Why Chimuelos for the name? For any questions regarding AT&T Center, please click here.